James D. Michael, a former partner of Carnesale, Delan, Flinn & Michael, LLC, has recently teamed up with long time friend and colleague Marko L. Burgar to form Burgar & Michael, L.L.C. Together, they comprise one of the most respected law practices in the metropolitan Atlanta area. The firm, with a new office in the Atlanta- Buckhead area, represents individuals charged with serious legal matters in both state and federal courts in Cobb, Fulton and DeKalb counties..
As a career trial attorney, Jim specializes in criminal defense, juvenile law and complex traffic offenses including drunk driving in metro Atlanta. 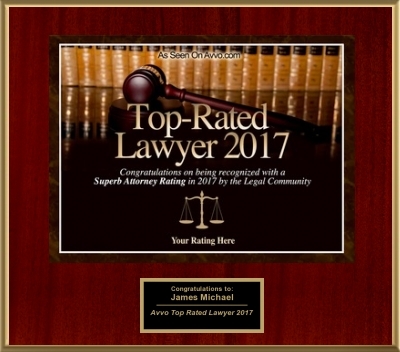 He was recently awarded 2017 Top Rated Lawyer status by Martindale Hubbell. Practiced with the juvenile court system, Jim compassionately represents children charged with criminal offenses and helps families get needed counsel and support. As an attorney handling moving and non-moving violations, Jim has years of criminal defense success in Atlanta representing clients in administrative and criminal proceedings that rise from violations including drunk driving, speeding, or traffic tickets. 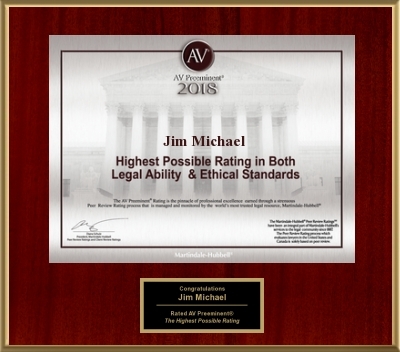 Jim also handles post-conviction matters, including direct appeals to the Georgia Supreme Court and the Court of Appeals of Georgia, probation violation hearings and parole reviews. Committed to successful defense of clients facing criminal charges in Atlanta, Jim Michael is a skilled attorney handling a wide variety of criminal, traffic, and juvenile matters. We offer a free consultation when you, or a loved one, need help. Providing exceptional representation to clients facing criminal charges in Atlanta, Jim Michael is a dedicated attorney who can help you and your family. Contact Jim online or call 404-857-4059.